Afsaneh has nearly 20 years of experience in production consulting, financial management, financial risk management and television commercial production. She was the COO of JWTwo, the editorial/animation/audio division of the global advertising agency JWT/New York (J. Walter Thompson). JWTwo clients included Macy's, Reckitt Benckiser, Johnson & Johnson, Diageo, Domino's Pizza and the Diamond Trading Company. Prior to that, she was CFO of EUE/Screen Gems where she managed the commercial divisions of the company. 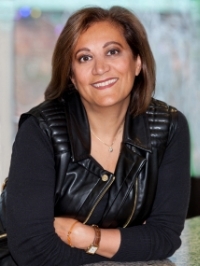 On the client side, Afsaneh has been a production consultant for Kraft General Foods, Wyeth and Schering Plough, among others. Venessa brings entrepreneurial savvy, production smarts, and business affairs experience to MMG, delivering 100 percent (and more) of her creative passion, infectious enthusiasm and legendary attention to detail. As as early advocate of sunscreen clothing, she started Shark Suit Swimwear "Australian made for Australian conditions" which she owned and managed for 12 years. Her business experience also includes 10 years in restaurant management. As Director of Business Affairs at MMG she has worked with a diverse range of clients including Jim Beam US & Global (direct-to-client), Gyro, Strawberry Frog, Emirates, Blackberry, Orexo and ConocoPhillips. Courtney worked at Calvin Klein for 8 years as an Executive Producer for world-class photographers such as Herb Ritts, Bruce Weber and Annie Leibowitz. She produced the "cK one" and "cK be" campaigns working with iconic fashion photographers Steven Meisel and Richard Avedon. These campaigns were honored by the advertising and fashion industries winning Cannes Gold Lions, Clios, CFDA and FIFA awards. Following her passion for high fashion Courtney went on to work with Ralph Lauren, Phi Collection, Natori, Donna Karan and Gucci. Her portfolio includes television commercials, digital content and print for Macy's, Vitamin Water, Novo Nordisk, Blackberry, Frye, Match.com, TDAI and Dubai South. Josett has over 20 years in the advertising/production field. 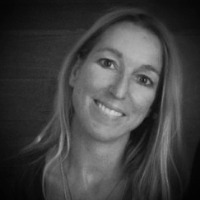 She has worked as head art buyer at TBWA, Chiat Day, BBH, Fallon McElligott Berlin and JWT. In 2006, she started her own company Josette Lata Inc., where she represents young photographers and produces ad campaigns. She has worked on Levi's, Rolex Fashion, Target, Absolut, Smirnoff, Club Monaco, Frye boots, Nissan, Puma and numerous other brands. In her spare time she judges photo award shows and teaches photography classes at art schools in the NYC metro area. Eric has been a music enthusiast his whole life, and has worked in the field for twelve years, starting with his love of recording indie bands, and writing and producing his own music. His love of the 'perfect music match' led him to overseeing music production and acting as supervisor on national broadcast campaigns in his role as music producer at In The Groove Music. With 18 years of industry experience, the firm has worked with brands like ESPN, Target, Budweiser, and Cadillac. Eric enjoys getting his hands dirty in all aspects of the music process, whether it's suggesting a great new band for a license, or diving in on the creative with In The Groove's team of composers. He also likes to discuss just about any musical reference at length, whether it's the latest pop trend or an obscure '60s garage band. Kit brings diverse multi-industry production and management experience to MMG. As Director of Integrated Production Management at JWT/New York (J. Walter Thompson), Kit oversaw operations and business affairs and was a key member of the executive team managing integrated production for over 80 global brands. 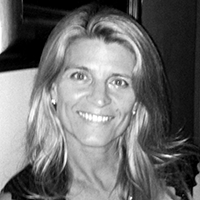 She executive produced integrated team projects including the interactive JWT/Human Rights Watch “Burma” installation in Grand Central Station, June 2010. The installation collected over 1000 signatures from 86 countries contributing to the release of political prisoners in Burma (Myanmar). It was honored with 4 Cannes Gold Lions and 13 other advertising industry awards. Prior to JWT, Kit produced on the line-side of television commercial production working with clients such as General Electric, Ameritrade, Coca-Cola, Major League Baseball and The Boys and Girls Clubs of America, The Fannie Mae Foundation and Estee Lauder.